Garage48 Circular Economy 2017 kicked-off with a flying start and a room full of people with great energy and lots of amazing ideas. 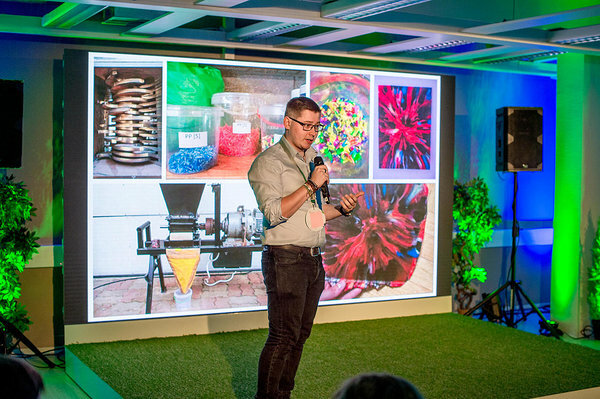 Garage48 with the Estonian Ministry of the Environment organized Garage48 Circular Economy 2017 to find new and innovative solutions for transition to Circular economy through eco-innovation. Environmental problems are complex and integrated to everyday production and consumption patterns and value chains. So the solutions have to be “out of the box” for the already developed patterns to change. One of the goals was to gather a real international crowd so they can address Circular economy and SDGs from a solution-oriented perspective and put a way forward for a cleaner environment, economic growth, healthy lives and social well-being given only 48 hours. There were 27 ideas pitched from which 11 teams were formed. Team Precious Plastics wants to create a platform that will show and provide further access to plastic sources for community use. 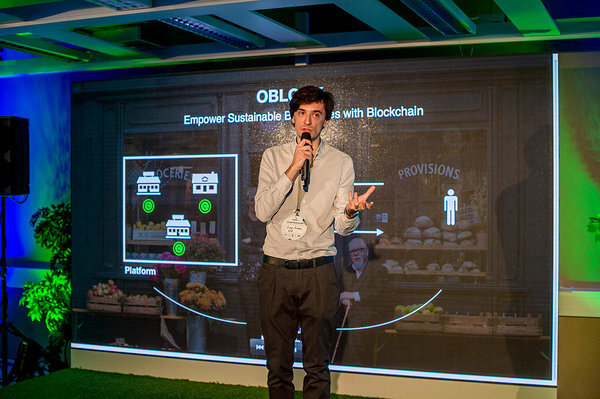 Oblock strives to empower sustainable businesses with blockchain. It represents a decentralized platform where sustainable business can share their loyalty programs. The team wants to build a marketplace where they can get more people to help them clean the world. They also want to build a system where people can help them to scale up. The project aims to save meals that otherwise would go to waste. The team wants to create a common database and an app where you can get an email or a special offer which would say - come now you will get 50% cheaper in a restaurant because of the expiration dates. You have a super awesome green idea but you need help to start? VEGCY Invest wants to create a platform for green ideas and provide them with further help – mentors, investors, volunteers etc. 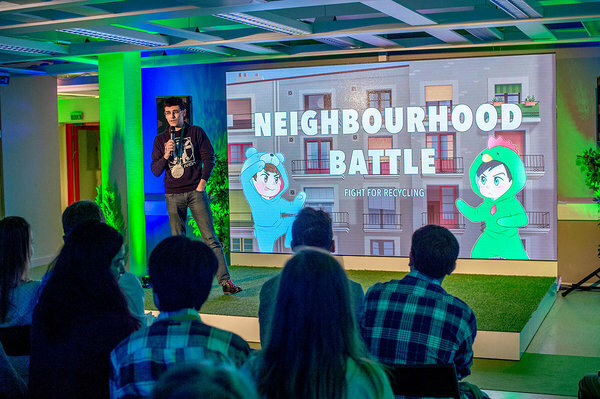 Neighbourhood Battle wants to create a neighbourhood game app which would allow neighbours to contest with one another for a cleaner neighbourhood. The team wants to make a proof of contest that they can easily transform dust into a material. They will use 3D printing in order to create prototype during the weekend. Plugs team wants to create an app that shows your energy usage and helps you to reduce wasting too much precious energy. Game of Circularity is a board game that would improve people's understanding of what circular economy really is and would further drive them to action. The recycled material trading marketplace's purpose is to connect people who want to buy recycled materials with people who want to sell recycled materials. 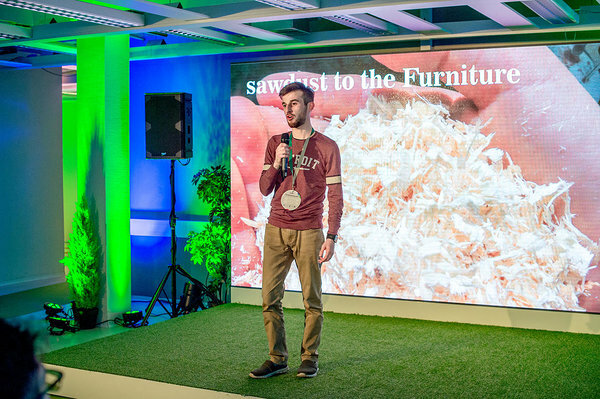 Big thanks to Spring Hub for making the Circular Economy 2017 happen and the Ministry of the Environment for supporting and helping Garage48 on organizing this event.